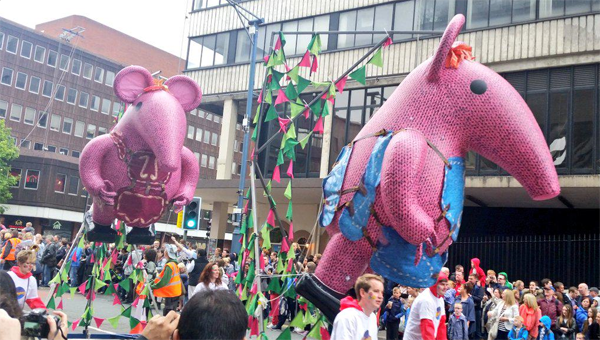 Imagine have designed and manufactured these two Clangers Tiny and Small for the BBC to be used in the Manchester Day Parade. We turned them around in just 10 days! They successfully completed their journey through Manchester, the customer mounted them on giant wheeled trolleys which they were suspended from.